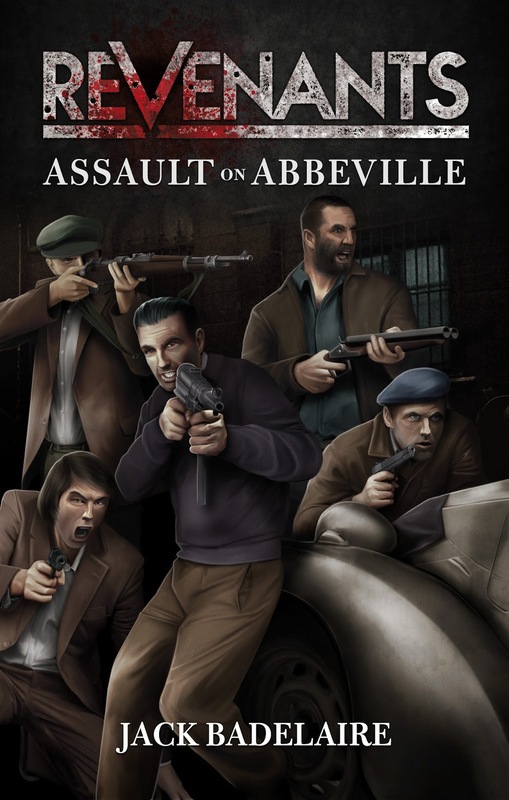 REVENANTS: ASSAULT ON ABBEVILLE is on Sale Now! As the Third Reich stands triumphant upon the ashes of Western Europe, five men sneak into France under the cover of night. During the German blitzkrieg, each of them had been left for dead by their comrades. Now, these once-dead men, these revenants, have come together to infiltrate Hitler’s Fortress Europe on a mission of murder. Their assignment: hunt down and assassinate the deadliest German in France. Outnumbered and outgunned, the Revenants must rely on their cunning, their skill, and their cold brutality to do the impossible and survive. The odds are overwhelmingly against them, and there are enemies at every turn, but when everyone thinks you’re already dead, you’ve got nothing left to lose. REVENANTS: Assault on Abbeville is the first in a series of military action - adventure novels written in the spirit of classic war movies and wartime adventure pulp fiction. It is related to the author's COMMANDO series, but can be read and enjoyed on its own. Unlike the Commando series, Revenants features five men who once served in different Allied armies: France, Belgium, Norway, Poland, and the Netherlands. Each of these men was left for dead on the battlefield during the 1940 invasion of Western Europe, and through one method or another, found their way to England. There, these five men were recruited to carry out assignments that no Allied government would officially sanction. In contrast my Commando series, I intend for Revenants to be darker, both in tone and in moral outlook. These men aren't bound by any "rules of warfare", and while the Commandos aren't ones to favor a fair fight, the Revenants live to fight dirty - it's the only way five men can survive any battle against the Nazi war machine. If you are a fan of the Commando series, I think you'll enjoy the Revenants series as well. They are both in the same "universe", meaning references to characters and events may cross over between the two series, much like my fellow author Dan Eldredge's Ranger series, but you in no way have to read one of my Commando stories in order to enjoy Assault on Abbeville. Currently, only the eBook edition is available on Amazon, but I hope to get the paperback edition published before the end of the month. There is a link to the book on the right-hand sidebar, but if you are viewing this on a mobile device, you can go to the Amazon page by clicking on this link. Hello all, and happy New Year. I've written one of these "writing in review" posts every year for the past several years, and wanted to get this one out as soon as possible (I realize I don't have a tag for these posts, so I'll be creating one now if you would like to go back and read the others). Although I did not actually publish anything in the calendar year of 2015, I sort of only book-ended this year with a major release in January and one with just hours left on New Year's Eve. And, as always, just to preface, I give my sales numbers only for the purposes of providing information for folks, not as some measure of my subjective success or failure. I do better than some authors sales-wise, but many others do better than I do, and that's a-OK. This was easily my best year by a considerable margin. While last year I was down, money-wise, this year I beat last year by several thousand dollars. I had over 5,100 sales of all ebook titles, and I cleared over 840,000 Kindle Unlimited pages read (which works out to roughly 4,000 of my titles read through, on average). While that sales figure is down compared to last year by about 500 sales (and keep in mind that for the first half of 2015, I was counting KU "borrows" as sales), my average daily KU page read counts have skyrocketed. Between July and December of 2015, I had 170,000 KU page reads, which averages out to around 944 pages a day. This year's daily average is about 2,311 pages a day, nearly a 150% gain. In addition, starting in April of this year (when I received royalties for February, the first full month after Operation Archery was released), my monthly royalties were higher - sometimes double - every single month this year. That is, of course, the good news. The bad news is that the percentage of books sold that aren't associated with my Commando series is, basically, almost non-existent. I sold twenty-five copies of San Francisco Slaughter this year, as well as thirty-two KU reads. Now, looking at my overall yearly sales figure, we see that SFS was less than one-half of one percent of all my sales this year. Killer Instincts sold 225 copies, about 80% of them over a two-month period during which I ran a large sales promotion after it received the new cover. There were also 96 KU reads, about half of those very clearly due to the visibility of the promotion. Both ebook and KU sales come out to about 4 1/2 percent of my totals for the year. As for all the other non-Commando shorter works, barely anything moved. Twenty-three copies of Renegade's Revenge were sold. Eight copies of Spiders & Flies (each moved a few hundred KU pages, a mere handful of reads). The rest are even more pitiful. Last year the Commando series accounted for around 90% of my totals, but this year that number has nudged up to probably around 93-94%. While some of that growth can be attributed to having a new title in the series that sold quite well, it is clear that everything else I've written is just ignored. Keep in mind that without that KI promotion, that percentage would go from about 4.5 to barely 1 percent of my sales, so without those extra 180 or so sales, Commando titles would probably be...97-98% of my income this year. Which is a little disconcerting, especially as I have just released Assault on Abbeville, the first in a new WW2 series, REVENANTS. This series is set in the same "universe" as my Commando books, so they are indirectly related, but that is no guarantee that the readers of one will be interested in the other - I may very well have another San Francisco Slaughter on my hands. 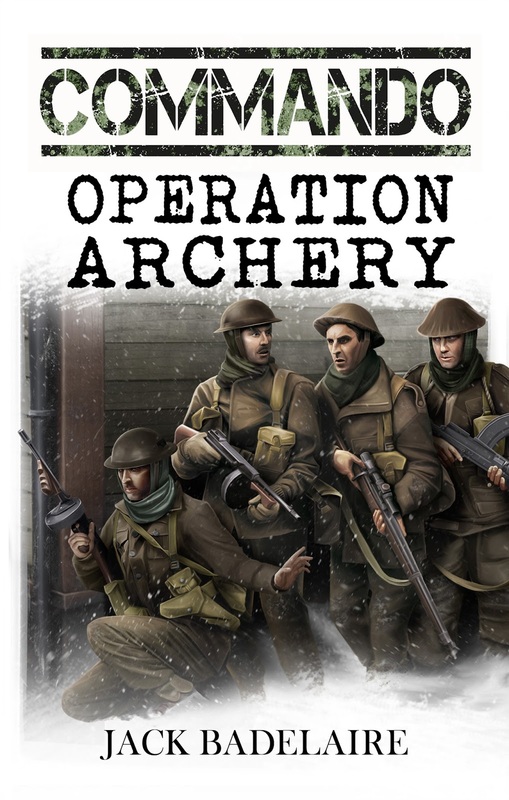 I also want to push and get a Panzer-focused series out the door this year, after the publication of Operation Elysium, and my biggest worry is that title dying as well. As much as I enjoy writing the Commando books and short stories, I fear the notion that such are the ONLY things I can write which will earn me any kind of appreciable income. And, of course, all of this comes back to productivity. 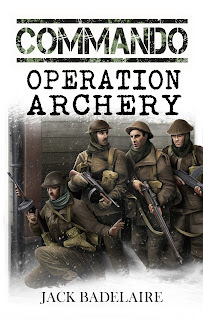 This year after releasing Operation Archery in late January, I began work on Operation Elysium, but got side-tracked and wrote Assault on Abbeville, as well as polishing up and publishing A Sergeant's Duty, the second "Short Bursts" story. As of right now, about 15% of Elysium has been written, and the rest extensively outlined. In the next couple of days, while my day job is still quiet, I'll be making an effort to push forward on the first draft, with a great determination to have the book done by the spring, which will hopefully leave me with more than half a year to write and publish the first Panzer book, which also have some extensive outlining right now. So now, it is just a matter of getting my shoulder against the wheel. I know I can do it - in 2014, I was actually surprisingly productive, releasing Operation Dervish, SFS, Renegade's Revenge, and Spiders & Flies - It is just a matter of sitting down, writing, and repeating that process as frequently as possible.